Dallas Health Helpers, Shaklee Distributor in Dallas asks are your vitamin supplements safe? In November, 2011, the FDA filed a permanent injunction against the manufacturer of vitamin supplements in Pennsylvania. It seems the company had been in violation of the cGMP (current Good Manufacturing Practice.) The company had been sited with two warning letters in 2004, one for labeling and/or promoting a dietary supplement that contained androstenedione as an ingredient, and the second for dietary supplements that are labeled to contain materials that are sources of ephedrine alkaloids. In 2006, US marshals seized the company’s Lipodrene dietary supplements said to contain ephedrine alkaloids. The company also failed to report serious, adverse events associated with their products. One individual who consumed their products reported high blood pressure spikes, hospitalization and a mild heart attack. Just because a product is well advertised and marketed does not mean it is safe. Users of Shaklee products, the company I proudly represent, can rest assured that each and every one of our products goes through a thorough testing regimen before it goes to market availability. In fact, the average time span from idea to production for marketing is about 2 years for Shaklee products. Shaklee makes sure the product is safe and that it works. Period. Shaklee has never had a product removed from production because of safety issues. Shaklee runs over 100,000 tests each year to maintain the safety and efficacy of our products. Can you find another dietary supplement company who does that? The next time you think to buy vitamin supplements, be certain you know that each and every ingredient in the product is safe and is delivered in safe amounts. Dallas Health Helpers, Shaklee Distributor in Dallas is about being healthy without drugs or synthetics. Call 214 252 9596 or email us to learn more about vitality and health. Shaklee Distributor in Dallas says the yo-yo is a no-no. Many people treat their health like a toy. The yo-yo comes to mind when it comes to weight loss and maintenance. It also brings about the old routine of joining a gym and going for a month or so then dropping off completely. Neither of these is a good plan for long term health. Yo-yo dieting is harmful to current and future health. Besides the current stress it puts on the body, it may also cause long term damage to our organs and our metabolism-in general, the way the body functions day to day on an ongoing basis. Any diet that promises quick weight loss in a short period of time, one that encourages a drastic change in eating habits and lifestyle is probably not a good choice. If a diet is not something that you could follow for the rest of your life, it may not be the one for you. A good weight loss program is one that you can see yourself following with ease and consistency. One that will allow you to live your life without disengaging from people and activities you enjoy. One such plan I have used for myself and others with great success is the Cinch Plan from Shaklee. Click here for details. Dallas Health Helpers is a Shaklee distributor in Dallas that focuses on total wellness without the use of drugs or synthetics. Email us at TIM at DALLASHEALTHHELPERS dot COM or call us at 214 252 9596 for more information. Shaklee distributor in Dallas discusses Thanksgiving and weight gain. Next month, someone you know will walk into the dining room just as they did last year. The difference this year is that they will be carrying more weight than they did last year. This is not good for their health–physically or mentally. It is important that this yearly weight gain, however small in increments, is slowly deteriorating their health unless they are seriously under weight. While a pound or two each year doesn’t seem like much, over time it can move one from overweight to obesity. We all should find a weight loss program that works to maintain muscle mass, causes fat loss and builds our health to a higher standard. One such plan is the Cinch Inch Loss Plan from Shaklee. With this plan, one can get through the holidays maintaining current weight levels or even reducing body fat. Think of someone you know who is serious about changing the direction that the numbers on the scale are going year after year. Send them a link to this site and encourage them to check out the Cinch Plan. You will both feel better. Dallas Health Helpers is a Shaklee distributor in Dallas who is concerned about the overuse of quick fixes and drugs to obtain health. For more information, call us at 214.252.9596 or email us at TIM at DALLASHEALTHHELPERS dot COM. We are happy to help move you from being just okay to having your own optimal health. Shaklee Distributor in Dallas gives lessons in speed eating. Many of us are living a fast-paced lifestyle. We do most every thing in a hurry, just to get to the next item on our agenda and then race through that as well. One harmful affect of living in the fast lane is that our pace generally doesn’t slow down for our meals. We grab something quick, gobble it down and move on. This is not beneficial for our digestive system and eventually for our waist line. When we don’t get out of that “fight or flight” mode for lunch or even dinner, our bodies do not handle food the way they should. Because we are stressed, our “food handling processes” are put on the back burner and are not digesting our food properly. It sits in our stomach longer than it should and we begin to experience heartburn and other symptoms of mal-absorption. Another problem is that when eating fast, we eat more. Our bodies do not signal our brains that we have had enough until it is too late. 1. 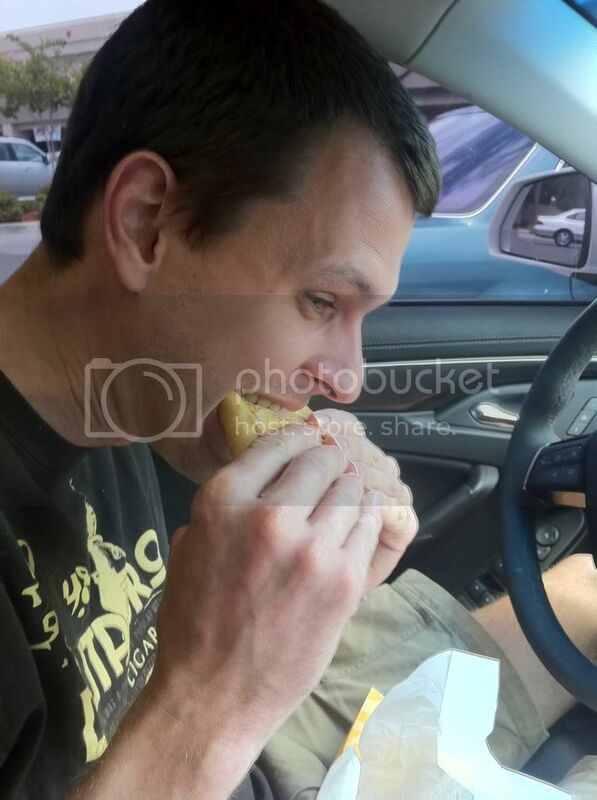 Do NOT eat in the car. 2. Set a timer and take 20 minutes to eat. 4. Sip water between each bite. 5. Eat at a table or designated place. 6. Get up from the table halfway into your meal and then return to it in a few minutes. Email me for more tips on developing healthy eating habits.